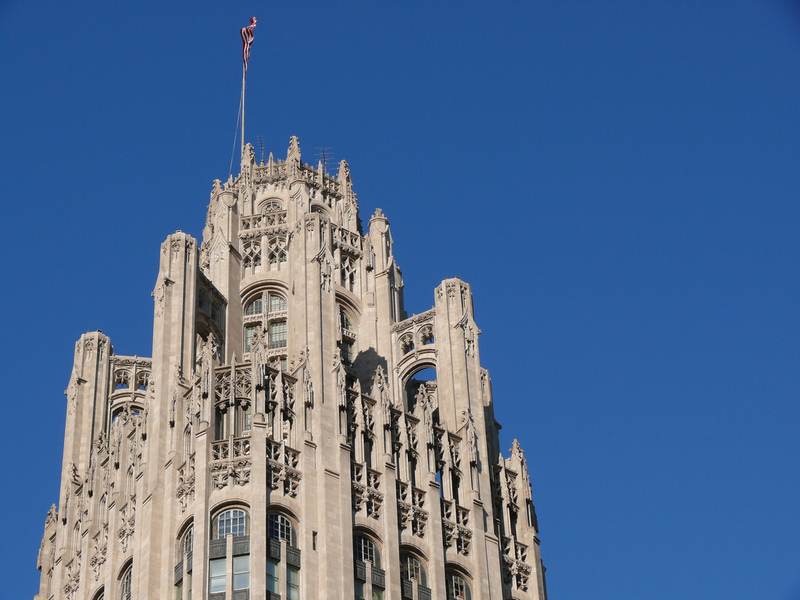 The Tribune Media Company has announced that it will sell the iconic Tribune Tower, located on Chicago‘s Michigan Avenue, to Los Angeles-based developer CIM Group for approximately $240 million. CIM Group will pay $205 million in cash for the building, with an additional $35 million contingent on certain conditions. The Tribune Tower was built in 1925 after its design was chosen in one of the most publicized architecture competitions of the 20th century. The $50,000 prize was awarded to New York-based Howells & Hood, just ahead of a design by Eliel Saarinen in second place. Entries to the competition came from around the world: Walter Gropius, Bertram Goodhue, Bruno Taut, and Adolf Loos all submitted proposals. Saarinen’s design was considered by many as superior, including by Chicago’s own Louis Sullivan. In the last 90 years, though, the Howells & Hood design has become a much-beloved member of the Chicago skyline. In 1980 a group of postmodernists—incuding Stanley Tigerman—assembled a series of “late entries” to the 1925 competition. Though what is exactly in store for the tower has not been announced, it is expected that the property will be transformed into a mixed-use development. The 35-story tower has 740,000 square feet of space, and the sale includes another 36,000 square feet of development space directly to the east of the building. CIM is also the developer for Block37, a large mixed-use development and tower in Chicago’s loop. The Tribune Media Company has also sold off several other smaller properties since the beginning of 2016. It will also be closing a sale of the north block of its Los Angeles Times Square property and the nearby Olympic printing plant. 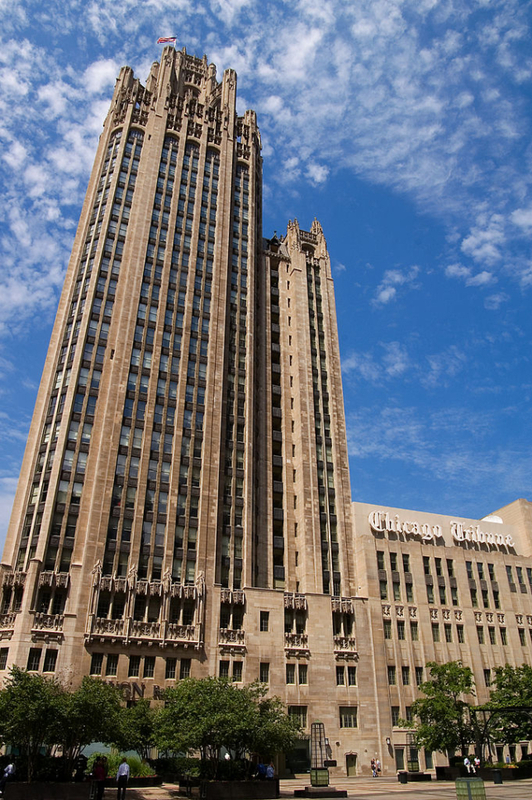 The Tribune Media Company is separate from tronc (formerly Tribune Publishing) which publishes the Chicago Tribune newspaper. Tribune Media owns or runs 42 local television stations and the national WGN America network.